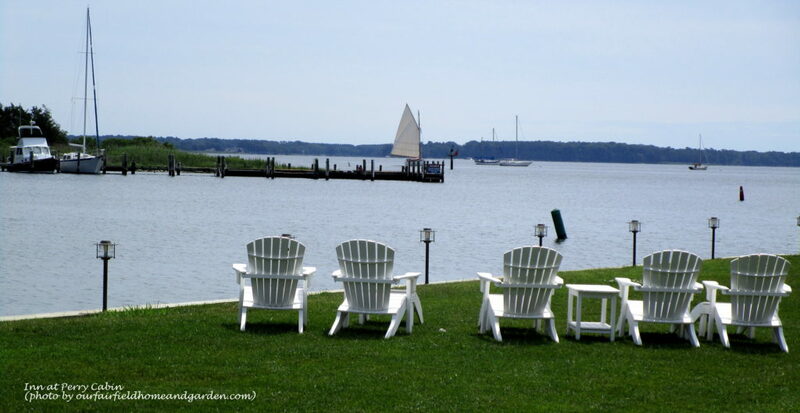 Our son and daughter-in-law totally surprised us recently with a two-night stay at the luxury resort, Inn at Perry Cabin in St. Michaels, Maryland. Owned by Belmond (formerly Orient-Express Hotels), the original manor house was built in 1816 and has been enlarged over time to its present 78 rooms. 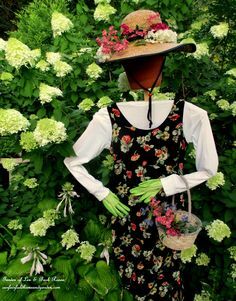 We drove up to the hotel through a long, shady allee of Linden trees under-planted with summer annuals and perennials. 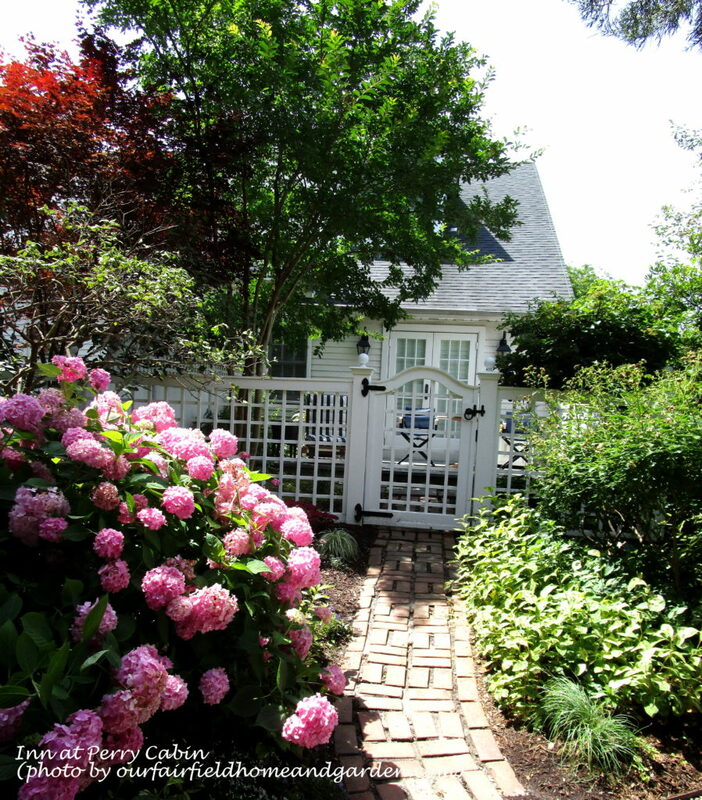 As a gardener, I knew I was in for a treat when my first sight approaching the Inn’s entrance was this beautiful English Country entry garden tucked next to the building. 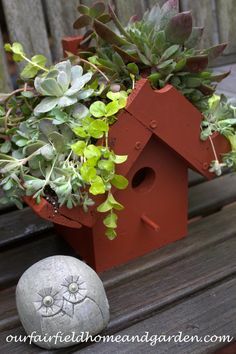 A professional horticulturist plans all the containers and gardens on the grounds, and, everywhere you look, it is like a scene from a magazine! 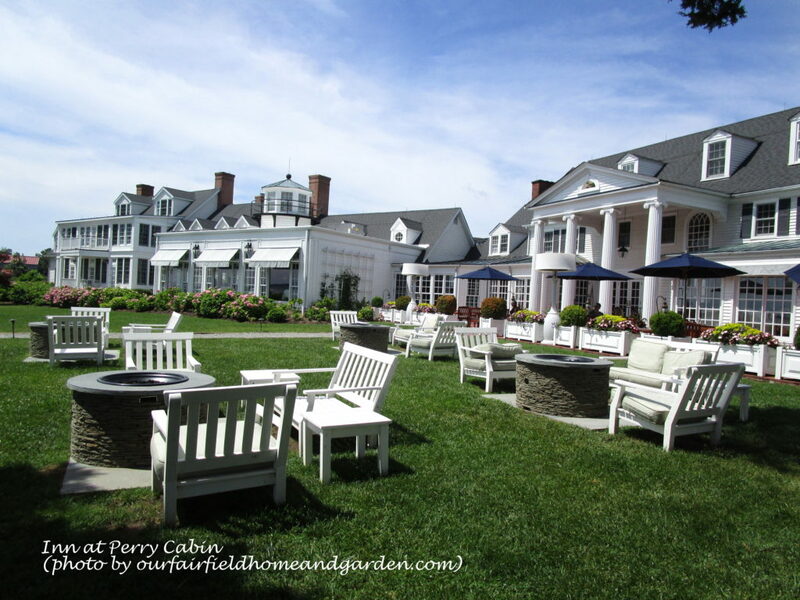 Dining is a five-star experience at the Inn at Perry Cabin. Enjoy breakfast, lunch and dinner in your room, on the terrace, poolside or in the Purser’s Pub or beautiful Stars Dining Room. Locally sourced, seasonal specialties are served daily and the menus contain offerings that will appeal to young and old alike. Afternoon tea is also available daily. 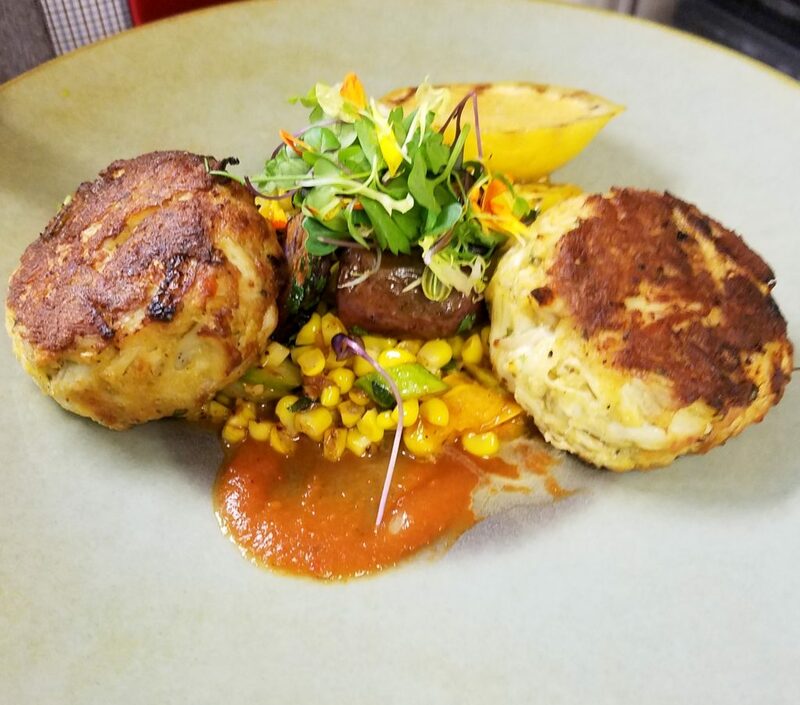 My husband swore the crab cakes were the best he had ever eaten! 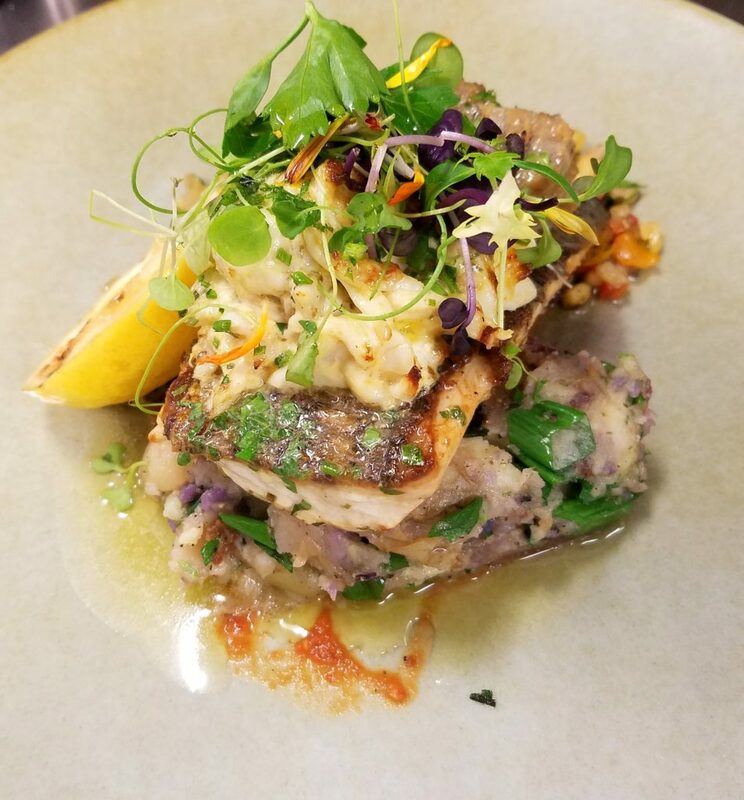 Here are two of the entrees that feature Eastern Shore specialties ~ Blue Crabs and Rockfish! Our son is Chef Zach at the Inn, so we were able to experience his wonderful workplace and had the additional pleasure of meeting some of his colleagues. 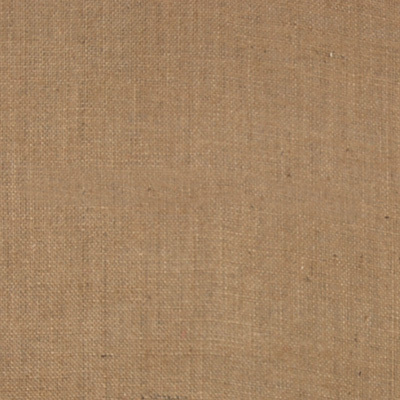 The Inn and staff were all that he had said they were, and more. Most of the staff we interacted with had no idea we were Zach’s parents. We found everyone to be extremely pleasant and helpful. It was such a pleasure to experience a level of service and professionalism that is rarely seen anymore. 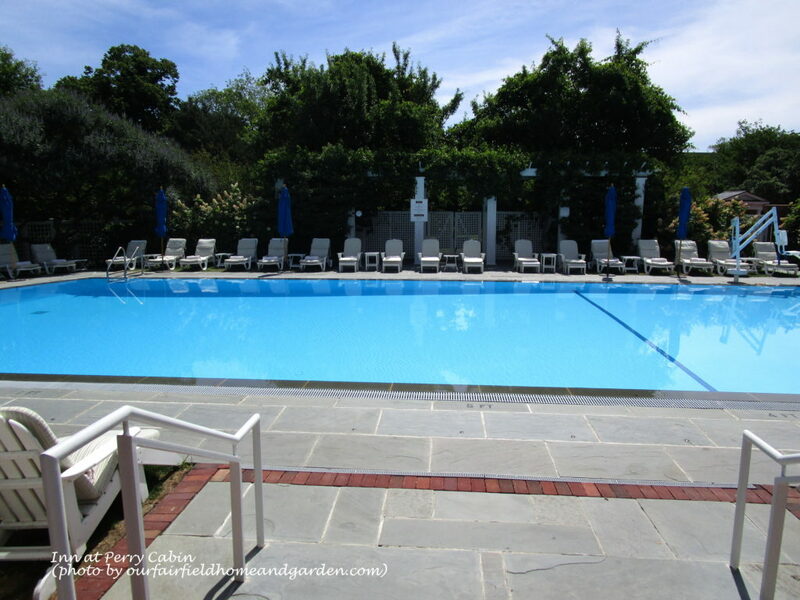 There’s lots to do when staying at the Inn at Perry Cabin, on site and off. Enjoy fishing, boating, kayaking and paddle boarding on the Miles River or just relax, kick back and enjoy the water and scenery. Need some shade? 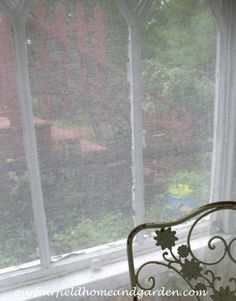 Head to a screened gazebo or shady bench. Or brush up on your Bocce and Croquet skills. There’s just the right spot for everyone at the Inn. We loved the covered porch off our room looking out over the river. Birders? We saw more Red-Winged Blackbirds than we could count and shore birds galore in the tidal wetlands. Sit on the banks of the Miles River and watch the world go by! Stroll through meandering paths on the Inn’s grounds or venture into the nearby town of St. Michael’s for some shopping and dining Eastern Shore style. Very walkable, St. Michael’s includes little boutiques, cafes, antique shops and even an old-timey ice cream parlor. Walking paths surround the Inn. Suites at the Inn at Perry Cabin are beautifully designed and appointed. Each room has a charm of its own with a water or garden view, a balcony or terrace, even a private courtyard. Fresh fruit and cookies arrive as if by magic and the housekeeping staff is very accommodating. Pet-friendly, there are some rooms available where you can also bring your dog along. We saw several dogs enjoying a getaway with their owners. 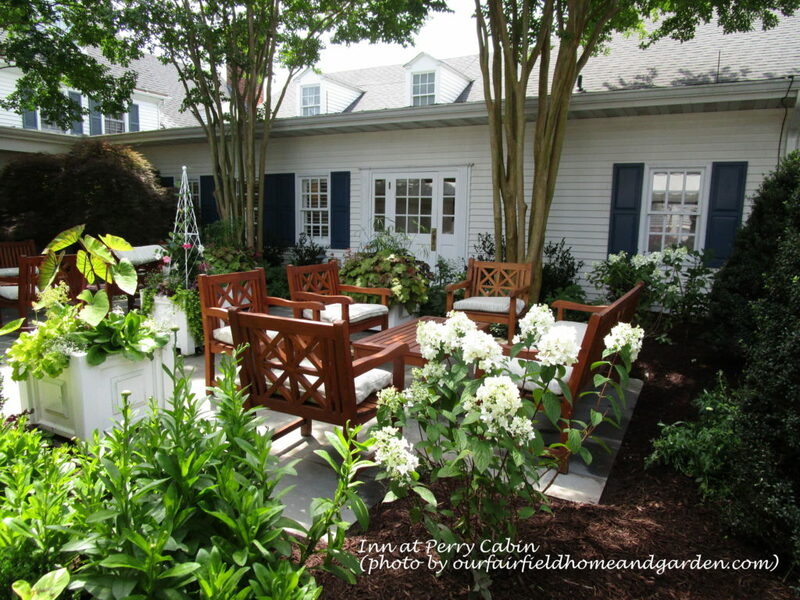 Some of the Inn at Perry Cabin’s suites have private courtyards! 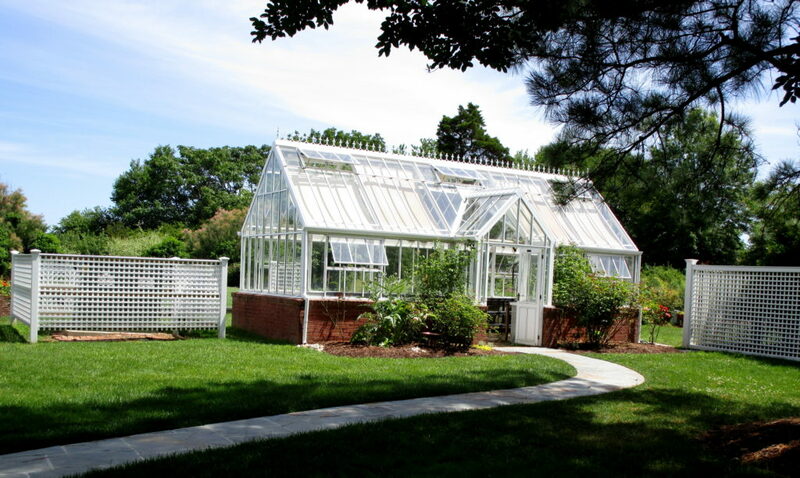 An on-site working greenhouse is put to use starting flowers and vegetables planted on the Inn’s property. 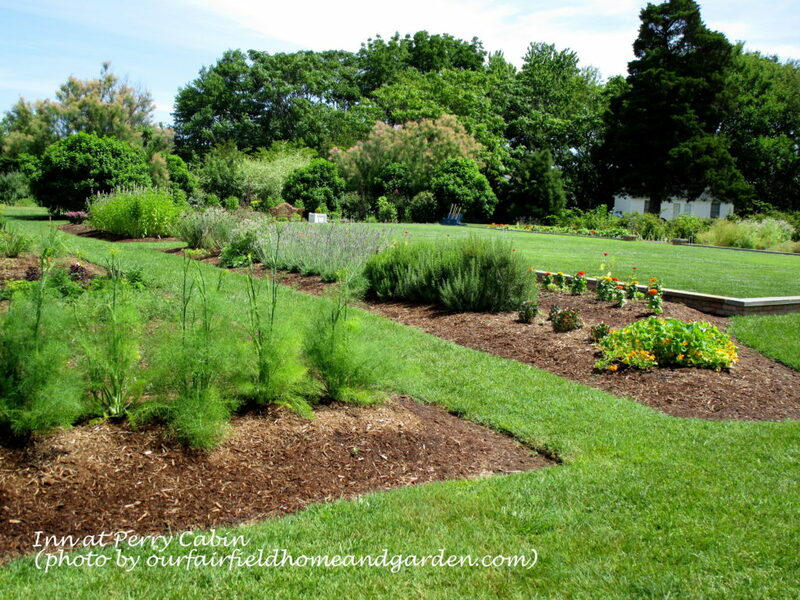 The Kitchen Garden, Vegetable Garden and Cutting Garden are both practical and beautiful. The manicured lawns are offset by old Magnolia and Cypress trees and the Inn’s floral landscaping highlights this historic manor home. 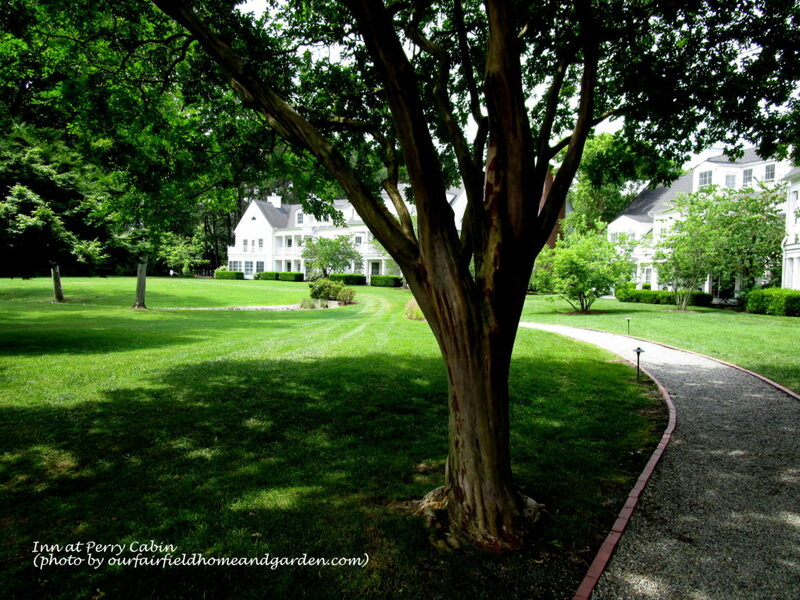 The Inn at Perry Cabin greenhouse is used to start plantings for their multiple gardens. Stressing locally grown foods, the Inn at Perry Cabin complements their cuisine with many herbs and vegetables produced in the Inn’s own gardens. 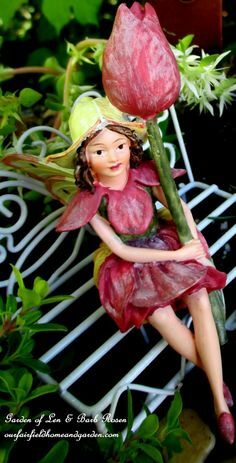 Vegetables, greens, herbs and flowers for arrangements are grown in the Kitchen, Vegetable & Cutting Gardens. 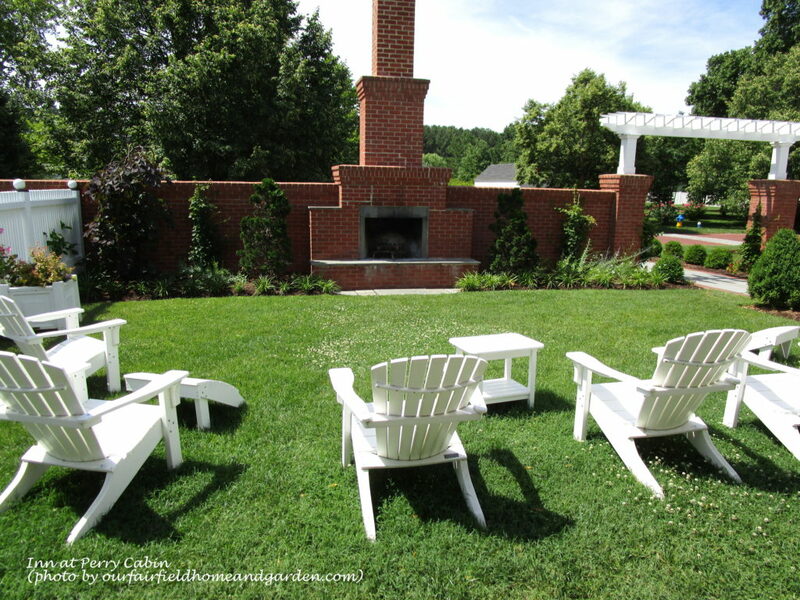 Fire pits and fireplaces can be found on the grounds with roomy Adirondack chairs for enjoying cool evenings outdoors. 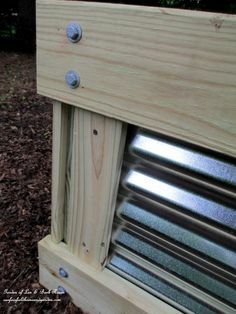 Beauty is to be found in all the subtle details and craftsmanship throughout the Inn at Perry Cabin’s hotel buildings. 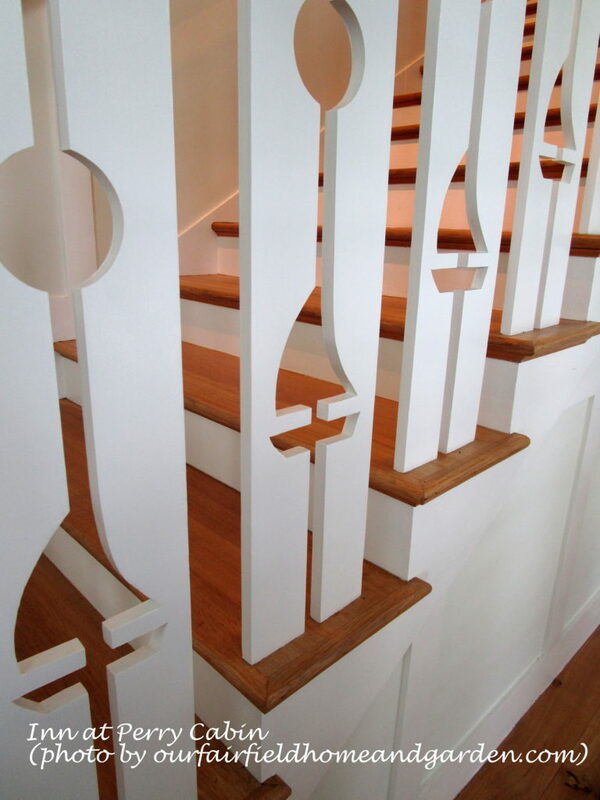 This nautical banister can be found in the Linden Spa building. A heated horizon-edge pool is located adjacent to the Linden Spa and fitness center building, which offers a full array of spa services and exercise equipment. 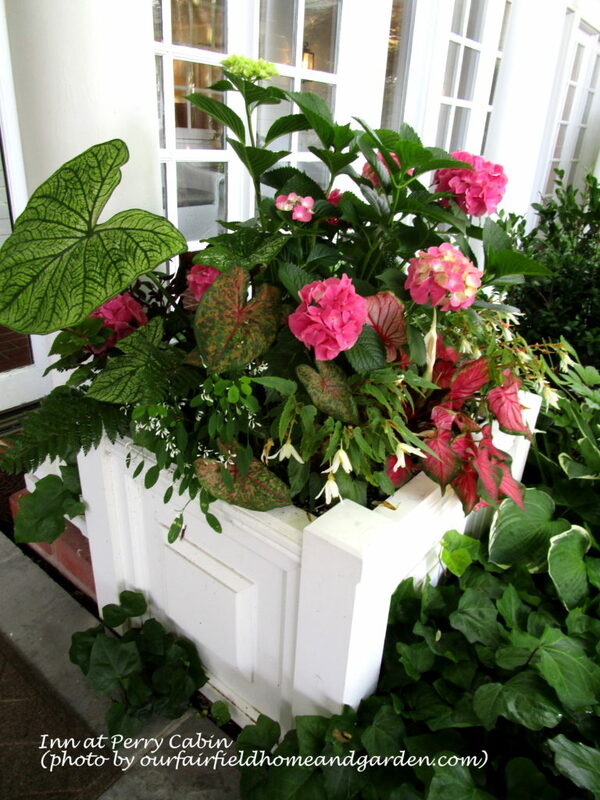 Gorgeous planters and flowers highlight all the hotel buildings and grounds everywhere you look. 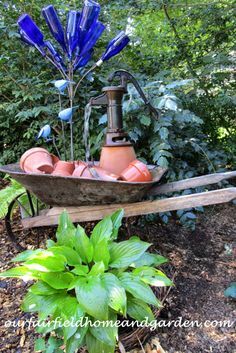 If you are a gardener, like me, there will be lots to discover and great ideas to take home to your own garden. 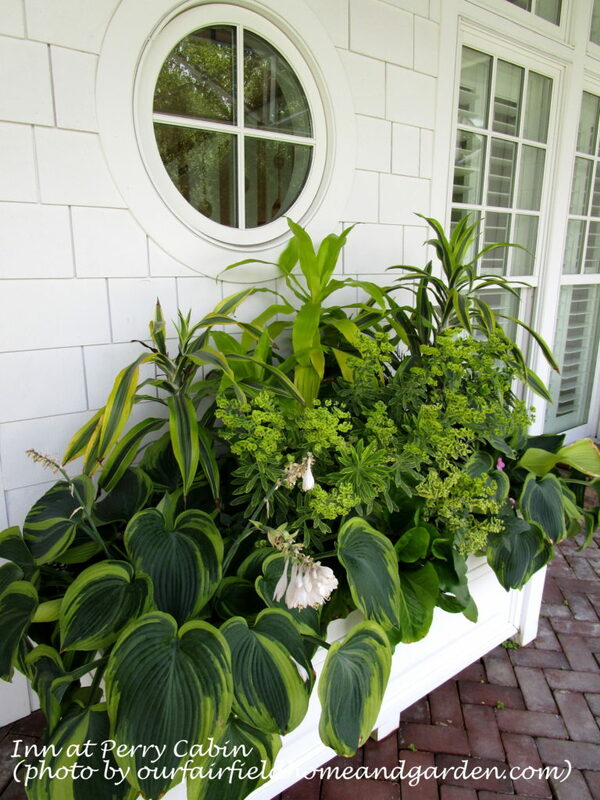 A planter mix of tropicals and perennials outside the Linden Spa. 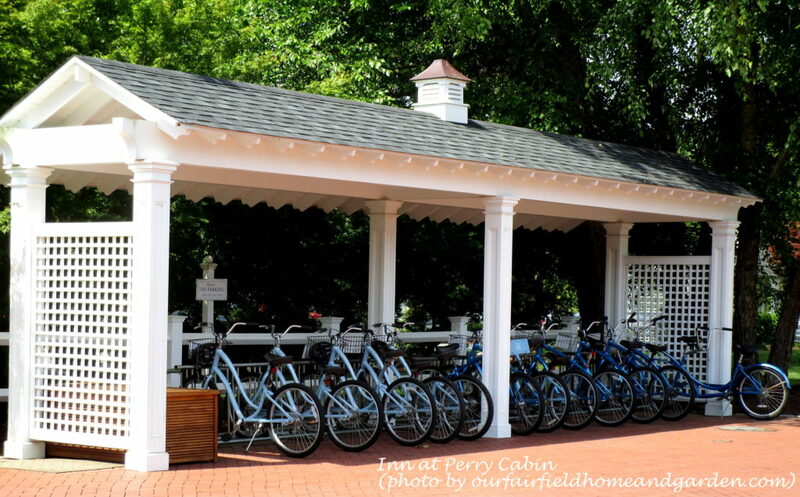 Bicycles are ready for an outing into the nearby quaint village of St. Michael’s, Maryland. Use walking paths, a driver from the hotel or your own car if you prefer. St. Michael’s is picturesque with historic homes, waterfront views, shops and restaurants. Recorded as “The town that fooled the British” in the War of 1812, there’s a wealth of information here for history buffs, too. Not to mention, that film lovers will recognize the Inn at Perry Cabin as the wedding setting for the movie, Wedding Crashers! The Inn is a popular wedding venue, so don’t be surprised if you see a bride and groom posing for their wedding pictures when you take a stroll. 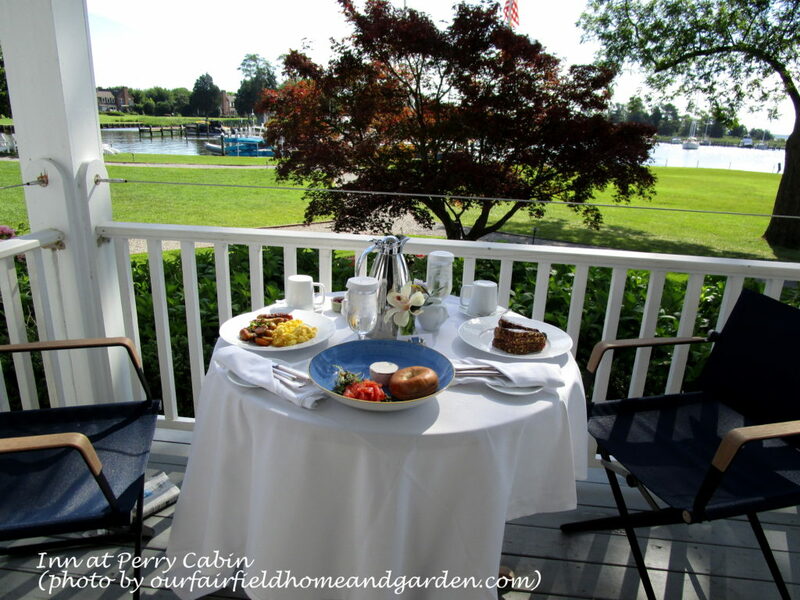 For our two-night stay, we treated ourselves to room service breakfast each day, served on our covered porch with a water view. 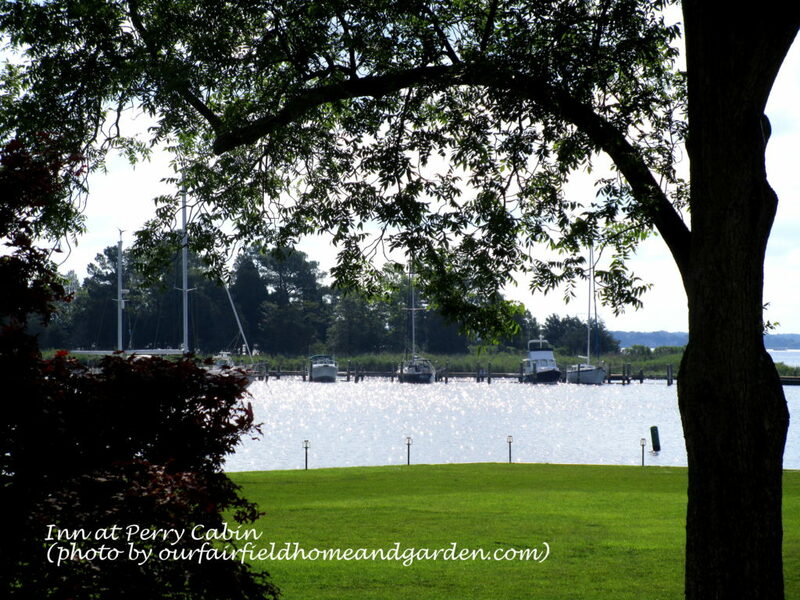 What a joy to look out on the water, listen to the birds and watch boats negotiating the harbor. BEST GIFT EVER! We teased our son and his wife that they definitely got the “Favorite Kids” designation for the summer for this wonderful getaway gift! 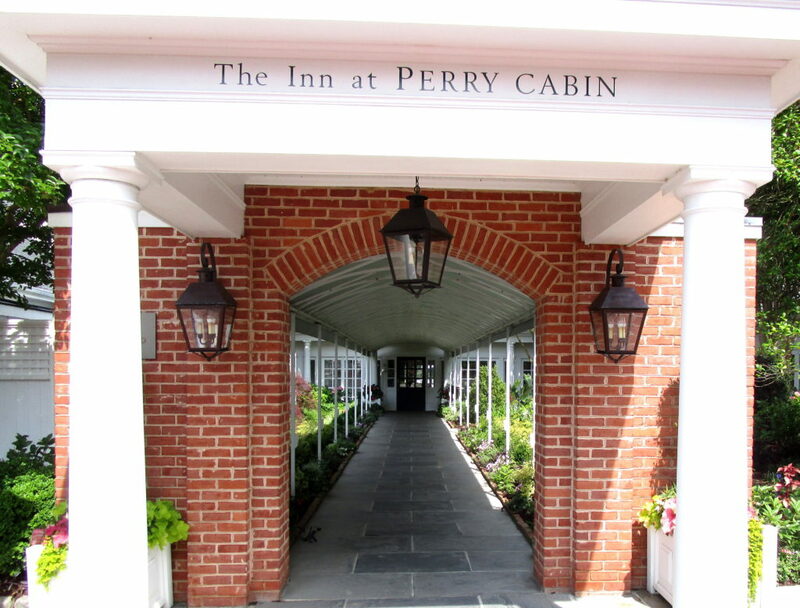 If you get the chance, splurge and try the inn at Perry Cabin out for yourself. You won’t be sorry!! Breakfast on the porch, a beautiful way to start the day! Oh my what a lovely getaway. The pictures look lovely..your food pics look like I could eat it off my PC. LOL!! I am sure you and yr hubby had a glorious time!! It was the best gift EVER, Lorri! Such a serene setting. Sitting in Adirondack chairs on the lawn watching the river was so peaceful and calm. We will definitely be going back!! WOW! Looks like a fantastic place! Arleen, it was just a dream! We really enjoyed ourselves and felt totally spoiled! The Inn at Perry Cabin folks sure know how to pamper you!